Projects for all level knitters. Start with a project in which the mosaic and lace are worked in different sections, such as a hat with alternating bands of mosaic and lace. Then progress to more complex patterns where the slip stitch and lace stitches are worked at the same time. 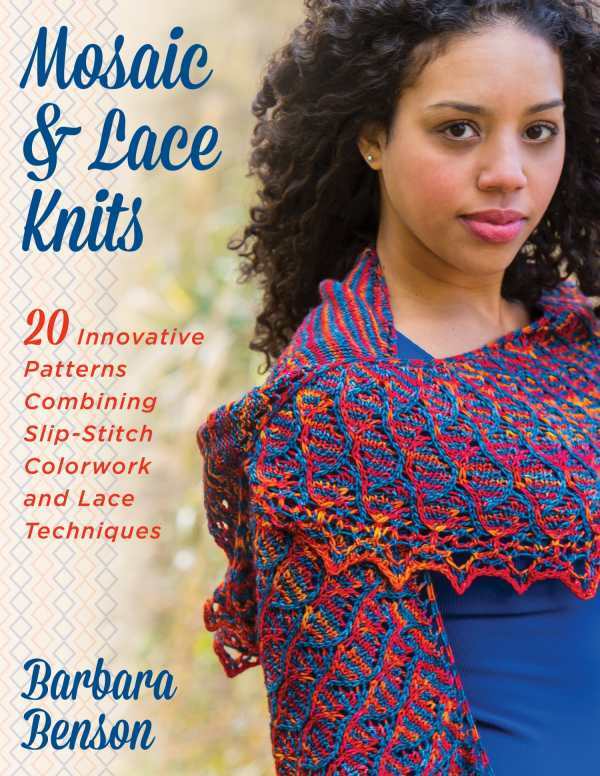 Each stitch plays an important role--these patterns will keep the interest of even the most experienced knitter!